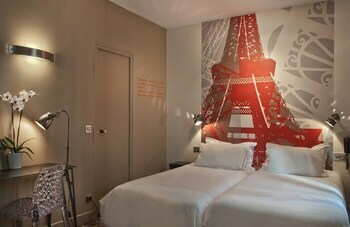 A stay at Hôtel Alpha Paris Tour Eiffel by Patrick Hayat places you in the heart of Boulogne-Billancourt, convenient to Parc des Princes and Eiffel Tower. 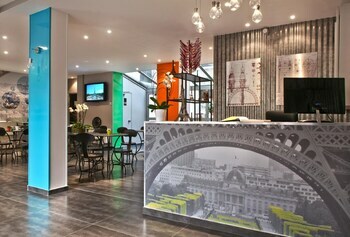 This hotel is within close proximity of Palais des Sports and Statue of Liberty - Paris. Stay in one of 34 guestrooms featuring LCD televisions. Complimentary wireless Internet access keeps you connected, and satellite programming is available for your entertainment. Bathrooms have bathtubs or showers and hair dryers. Conveniences include phones, as well as safes and desks. 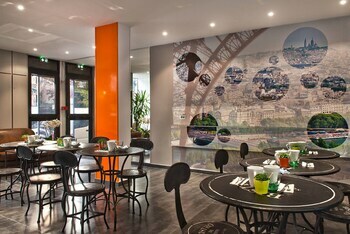 Hotel Alpha Paris Tour Eiffel By Patrick Hayat is an ideal Boulogne-Billancourt lodging choice for your trip to France. With numerous amenities for guests such as 24 hour front desk, concierge, parking - self, you will wake up at Hotel Alpha Paris Tour Eiffel By Patrick Hayat feeling invigorated every day for your time in Boulogne-Billancourt. 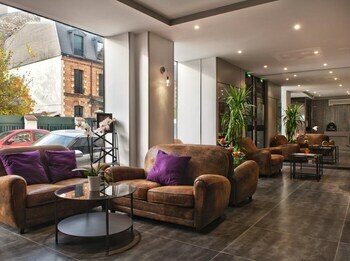 Don’t let this amazing reservation opportunity pass you by, book your stay at Hotel Alpha Paris Tour Eiffel By Patrick Hayat today to make the most of your time in Boulogne-Billancourt, France.